A team of academic researchers is seeking clarity on predictive plug-in electric vehicle (PEV) models. An examination of more than three dozen studies is providing some meaningful insights. "The value of the models is not in their predictive power, but in connecting 'important' factors in a way that enables us to construct some possible future based on what we know about consumer behavior and other factors," said Thomas Stephens, a researcher at the U.S. Department of Energy's (DOE) Argonne National Laboratory, who co-led the study. 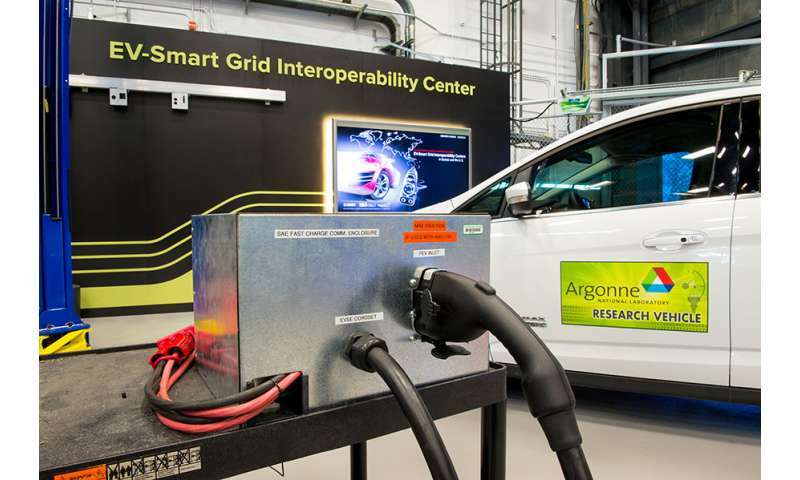 To gain a better understanding of the PEV market, Argonne conducted a review of 40 automotive market diffusion studies from 16 countries, including the United States, Germany, China, South Korea, the United Kingdom and Ireland. These studies modeled the decision factors that drive consumers to purchase PEVs: vehicle and energy prices, operating costs, available charging infrastructure and range, among others. These modeled considerations, and their order of importance, varied by country. For instance, many U.S. market penetration models considered vehicle price and operating costs to be very important, while German models listed energy prices and charging infrastructure as the primary considerations. The studies that Stephens and co-authors reviewed provided vastly different projections of future PEV market shares, mainly in the U.S. and Germany. Estimates ranged from a few percent to more than 50 percent by 2030. This disparity results, in large part, from the models' diverse assumptions about market conditions, vehicle and fuel prices, and other factors. "We found that many models handled factors very differently or even neglected some that seem to be important, so a wide range in market projections is not surprising," Stephens said. What are the projected market shares for a particular region? What are consumers' primary purchase considerations? What is the effect of rebates, tax credits, battery research and development and high-occupancy vehicle lane access? What is the potential effect of PEV sales on petroleum demand, emissions and demand for electricity? Though researchers cannot predict if or when PEVs could reach a tipping point in the U.S., they can help identify factors that could speed or hinder the adoption process, according to Stephens. Based on their study, the team offers several findings for future PEV models that address important considerations neglected by many of the models they reviewed: the limited range, available charging infrastructure and the technological and projected cost improvements of batteries over time. Other contributors to the review, published in a report titled "What drives the market for plug-in electric vehicles? - A review of international PEV market diffusion models," were from the Fraunhofer Institute for Systems and Innovation Research ISI, DOE's Oak Ridge National Laboratory and the German Aerospace Center, Institute of Vehicle Concepts. Future electric cars with have fuel-free micro-turbines to provide an on-board recharge. Cars so equipped will become power plants when suitably parked. See aesopinstitute.org For background information on the turbines see FUEL FREE TURBINES on the website. Suitably parked vehicles will sell electricity or power buildings. Parking areas and garages will become multi-megawatt power plants. Ridiculous. What spins the turbine? None of the articles on EVs seem to get to the main point of them - cost to operate. With so little maintenance and the cost of "fuel", nobody will want to go back to oil changes, emissions systems, tune-ups, transmission shops, mechanics, injectors, or the like. An electric car motor has the maintenance needs of your refrigerator motor - none. How much do you value your personal time? Want to go gas up, get the oil changed, and do the repairs necessary for an internal combustion engine on your day off? We love our two EVs. -What are the projected market shares for a particular region? Well, they might also look at potential driving bans for ICE cars in cities (the first of which was enacted last month in germany where Hamburg has since closed down a major street for older diesel cars). Since air quality standards are mandated by law there's no way around other cities following suit. When this beomes adopted in all major cities with bad air (which include Berlin, Munich, Stuttgart, Nuremberg, ... ) then that will certainly make people more inclined to buy electric. Go back to school. I think you missed a couple of very basic facts in what passes for your education. Fuel-free micro-turbines will give electric cars unlimited range! I used to get these kind when I was in Technical Services for PG&E. These particular folk do not understand it is not the energy inherent in anything, it is the movement to a lower energy state which drives action. In ambient heat, there is no such lower state to act as a sink and provide the movement. Since it would undermine the Russian economy, which is dependent on fossil fuels, his work has been halted and suppressed by the Russian government. Rauen fuel-free turbines improve upon his designs. A Ford engine was converted to run without fuel by Chris Hunter. A Kia engine presently being converted will be certified at a State laboratory in the near future. add atmospheric pressure to ambient heat. Nikola Tesla wrote: "In this present world …a revolutionary idea or invention is hampered – by selfish interests, pedantry, stupidity and ignorance. It is attacked and stifled and passes through bitter trials and tribulations. … All that was great in the past was ridiculed, condemned, combated, suppressed, only to emerge all the more powerfully, all the more triumphantly from the struggle." Yep.. but Tesla was a bit of genius. The stuff you are peddling? Not so much. But I'm sure you already have all your money invested in this stuff, right? Right? You might be surprised at the science behind this work. A famous scientist once said science proceeds funeral by funeral. We no longer have that luxury. You obviously have not bothered to read FUEL FREE TURBINES at aesopinstitute.org SECOND LAW SURPRISES on the same site might also interest those with open minds. A Ford engine has been converted to run without fuel. A Kia engine will soon follow and be certified at a State lab. As piston engines and turbines are verified and validated they will speak for themselves. The Wright Brothers were widely considered frauds for 5 years after the flight at Kitty Hawk in 1903. In 1908 Teddy Roosevelt invited a demonstration in Washington. At that point the NY Times, Scientific American and the Smithsonian admitted the Wright's had really invented powered flight. Cold fusion is still ridiculed by most scientists after reproduction at more than 100 labs including the Navy, SRI & Stanford. Wake up folks and learn something new and important! "Fuel-free turbines add atmospheric pressure to ambient heat." I just walked around in it all day! Into what are you exhausting, capturing the energy entrained in the differential? What drives the pistons? Be specific. Rauen piston engines and Kondrashov turbines have different explanations. They are both detailed on the website. The Hunter conversion involved sealing the engine and filling it with propane as a refrigerant. To see what he does, go to NO FUEL PISTON ENGINES on the site and scroll down to the last few pages. He does not detail his theory, only a description of how to convert an engine to run without fuel.
" He does not detail his theory, only a description of how to convert an engine to run without fuel." Then, build one and prove it!! Hunter successfully converted a Ford engine and is completing a second conversion, a Kia engine. It will be tested and certified at a State lab in Alaska. Rauen has provided the theory for his engines. Almost all of it is on the website. A Confidential White Paper is available with a signed NDA. What "state lab"? When? Where? I have personally seen too many of these ideas as part of my job in Technical Services for PG&E. Alaska. In a few weeks.